Blacklisted from the sport for over a decade, Puerto Rico is set to return to the ice, but in the form of sledge hockey. Philip Painter is a passionate fan. With sports like football (soccer), boxing and baseball stealing most of the sporting headlines in Puerto Rico, the first vice-president of hockey in the nation wants a sport that isn’t familiar to everyone there to thrive. The Puerto Rican hockey group has been a major part of local culture in recent years. Their annual Christmas Toy and Food drive was voted as one of PR’s best Charities in 2016 for their support of local youth thanks to donating hundreds of toys every year. But for over ten years, hockey has been left in the dark. The previous government banned the sport from local rinks and players were forced to sneak into them just to play some form of hockey in the midnight hours. Painter knew how much of a struggle it was to get on the ice in the first place, and with lots of people wanting to take part, it was an unwelcome decision to have it essentially outlawed. Painter said years ago that he had a belief that a new government in Puerto Rico could help get hockey back on the right track. On November 8, 2016, the same night that Donald Trump was elected as the President of the United States, Ricardo Rossello was elected himself to be the next Governor of Puerto Rico, a step in the right direction for those looking to get ice hockey back on the map. Rossello went to the Massachusetts Institute of Technology and University of Michigan, with the latter being home of the nine-time champions, the Michigan Wolverines. Both schools are centered in massive hockey areas, and Rossello became a fan as a result. According to Painter, Rossello promised that if he was elected, that “hockey is a go”. And almost immediately, the fun began. very short time, Rossello erased what Painter called “the dark days”. After years of having to break into rinks, without the use of proper hockey equipment, just to get a fix of the sport, Rossello has opened up the opportunity for players to get ice time for the first time in many years. The team no longer had to be “outlaws”, but could truly begin to rebuild a foundation for a strong hockey program down the road. Neighboring countries Cuba and Haiti have opened temporary ice rinks in recent years. Jamaica is currently an associate member of the IIHF and while they do have a rink, they participate in annual Under-20 tournaments in Toronto, Ontario instead. So if anything, getting hockey back on it’s legs in Puerto Rico, an area where the sport had already began early development, has to happen, right? Well, it’s not exactly proper ice hockey, but they’re returning to the rink anyways. For the first time, Puerto Rico will work towards building a sledge hockey team, a rising sport that has allowed people with disabilities a chance to participate in the game they love. Sledge hockey has grown to be a very popular Paralympic sport, allowing athletes with a permanent disability the chance to play at a high level with slightly different rules. You don’t need to have a disability to play sledge hockey, but it’s no walk in the park. The special event on ice requires athletes to have incredible upper body strength and scoring is far from an easy task. Players use double-blade sleds that allow the puck to pass beneath it, while moving around and shooting with a pair of small sticks in both ends with spikes to help propel players to different portions of the ice. The list of names that have pledged their support for hockey in Puerto Rico is astounding. Some of those people include singer Ricky Martin, actor Denis Leary, women’s hockey star Angela Ruggerio, NHL legend Jeremy Roenick, Hockey Night’s in Canada host Don Cherry and Mike Smith from the Trailer Park Boys. Paralympic participation for sledge hockey is growing every single year as countries begin to pour resources into the emerging practice. Some of the biggest countries in ice hockey are starting to begin the fun, with Russia participating in their first Olympic tournament in 2014. So far, the United States have the most gold medals in the history of the tournament with three, but Norway leads the overall medal hunt with five over six tournaments. And now, it’s Puerto Rico to join the party. The whole plan has come together very quickly and they’ll need some time to regain the participation level they had ten years ago. At that time, they had around 30 players, with 20 of them being youth, an impressive number for a small hockey nation. Former Los Angeles Kings draft pick Dean Hulett was born in San Juan and former Swedish World Junior forward Carl Gustafsson is from the country, too. Painter also said to keep an eye on goaltender Andres Pinto, who currently plays in Boston. He believes he has a chance of going far in hockey, including grabbing a Division I NCAA deal in the future. But on the sledge side, it will surely take some time. For players who have played ice hockey before, switching to the sled will be much more difficult than strapping on roller blades and joining an inline team. Instead, you have to change your entire style of play and re-learn the game in a completely different format that requires your upper body to replicate the strength of the hulk. Again, the world of sledge hockey is much smaller than it’s stand-up counterparts, but it’s a growing sport that countries around the world want to be a part of. With Puerto Rico joining the bandwagon, it shows that they want to be involved in a growing discipline and will help use it as a basis for growth in the future. When it comes to the future of their ice hockey program, the team is working to put a team together for the 2017 Pan-American Ice Hockey Games, a six-team tournament featuring Brazil, Colombia, two teams from Argentina and another two from the hosts from Mexico. The tournament served as the hockey debuts for Colombia and Brazil in recent years and always gave Argentina their first official hockey platform as well. So it would seem fitting that Puerto Rico wants to join the party. Painter is excited that Puerto Rico’s smaller rink, the Aguadilla Ice Skating Arena, will finally have it’s first organized hockey action and is glad it will begin with a sport that’s brand new to the country. 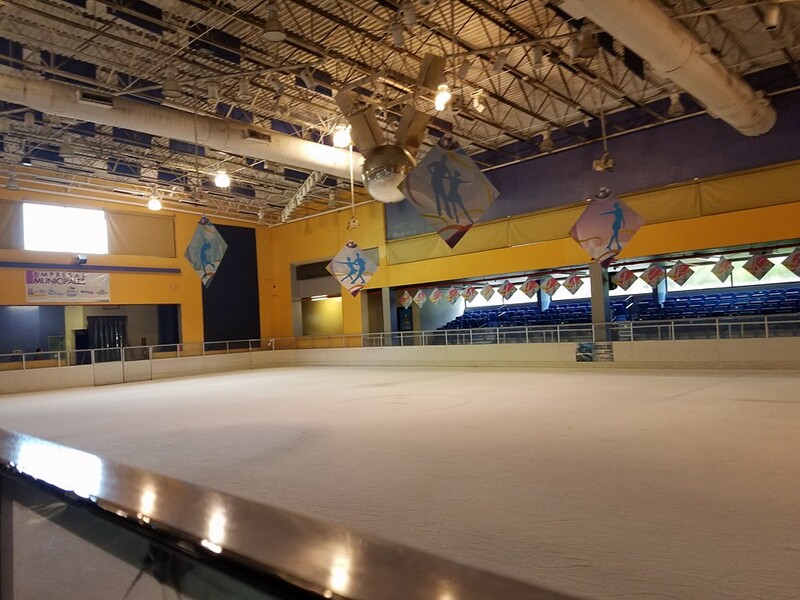 The team hopes to eventually move back up to the full-sized rink, the Coliseo de Puerto Rico José Miguel Agrelot in San Juan. 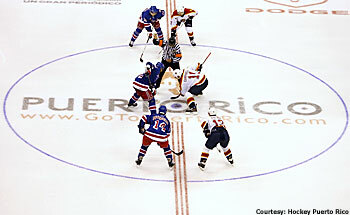 In 2006, the arena hosted a pre-season game between the New York Rangers and Florida Panthers, but after the game failed to sell out the 17,000 seat megaplex, hockey was never played again in the building. While ice hockey may be on the mind of everyone involved, Painter knows that sledge hockey will be a major addition to the overall growth of the sport in the country. And, of course, it has one major draw. Hockey truly is for everyone.